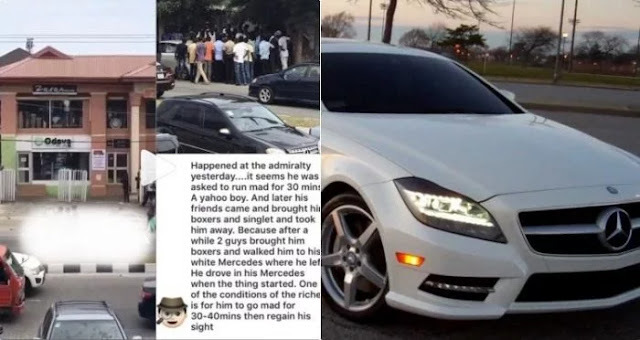 Most Young boys are looking for how to make money without sweating these days *suprise emoji* and can do anything to make it happens.  Today, another unbelievable thing just happened in Lekki phase 1, Lagos. 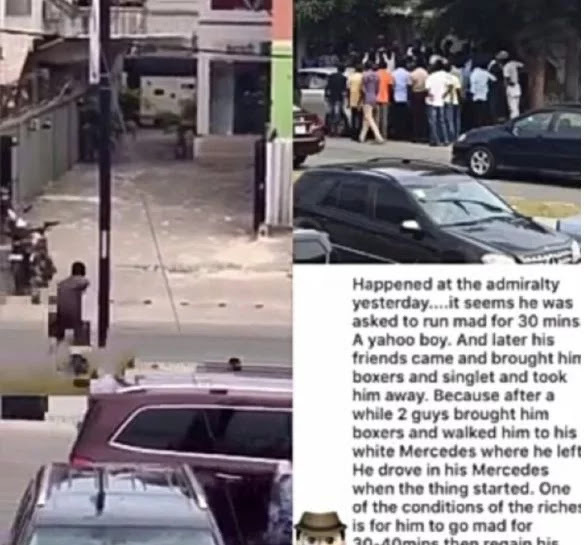 According to a video making the rounds on instagram, a man driving a Benz, runs mad for half an hour, hurriedly covers up his unclothedness before being taken away by his friends in Lekki, Lagos. Just in case you are about to do anything stupid because of money, remember your life is precious! May God help us all.